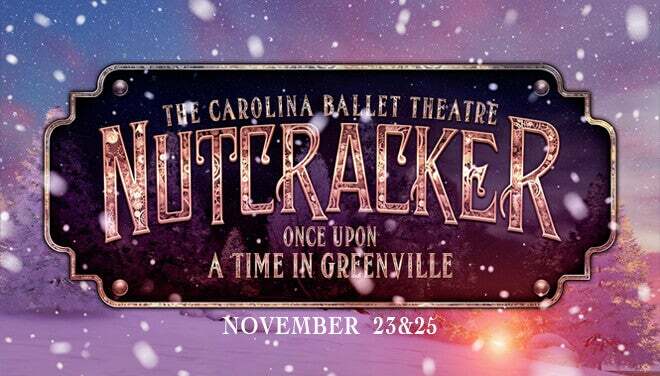 Clara and her Nutcracker prince are all that stand against the Rat King’s hordes from invading Greenville. Tchaikovsky's classic ballet has been reimagined by the world-renowned Hernan Justo with a special Disney-inspired theme coinciding with the release of Disney’s “The Nutcracker and the Four Realms” on November 2nd. 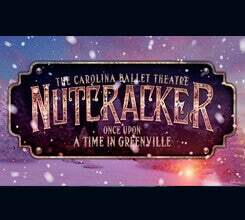 All the adventure and excitement from the legendary lands of the Sugar Plum Fairy will make their mark upon Greenville this holiday season. Highlights - The one and only Herman Cornejo, Principal from ABT along with ABT Soloist, Skylar Brandt will be performing opening night. In addition, CBT has partnered with SC Football Hall of Fame to reveal sports athletes who will dance, along with 150+ dancers! All box seats receive complimentary champagne and cookies. World Famous ABT Principal Dancer Herman Cornejo + ABT Soloist Skylar Brandt will be offering an exclusive working masterclass on Saturday, November 24 at 10 am. Click here to learn more about the master class.